Dressage favourite for high demands: His first-class type, clearly distinguishable in the image of his famous great-grand-sire Jazz, and three equally good paces, make this significant stallion highly desirable. He confidently dominated his 14-day-test in 2016 and his sport test for stallions in 2017. His first descendants are clearly marked by their sire by the quality of their paces, noblesse and temperament. They have been regularly awarded and have been sold for top prices. 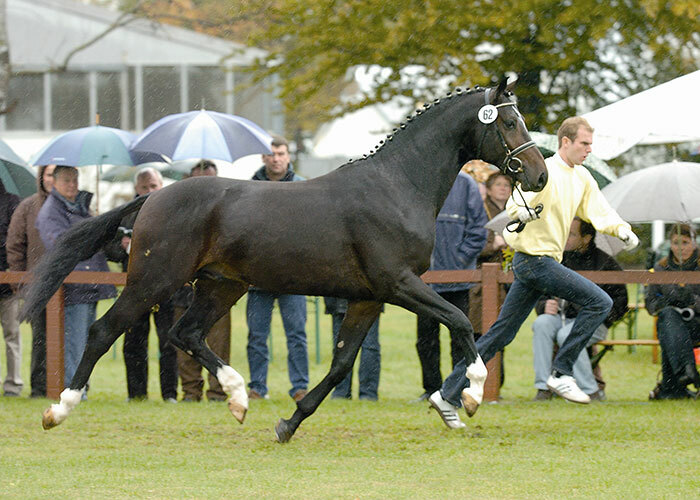 His sire Fürst Romancier was fourth at the World Championships for young dressage horses and German national championships, received the dressage-emphasized Ia-main premium and has produced, up to now, 28 licensed stallions, including the double licensing winner For Romance I, and 55 state premium mares in various breeding regions. A special showpiece is his daughter St. Pr. 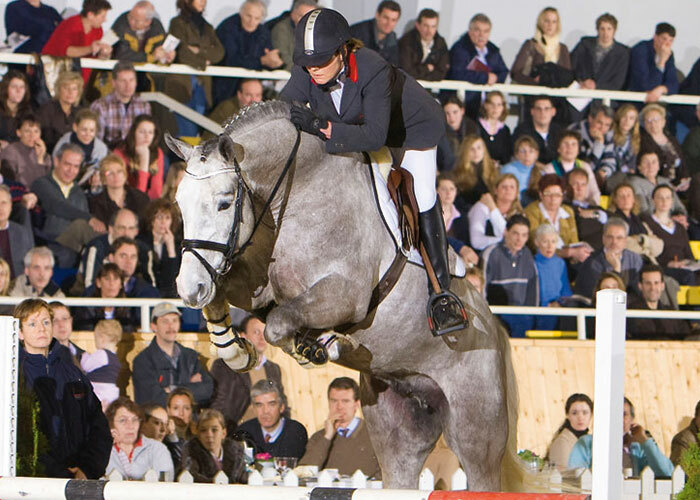 St. Fasine, full sister to For Romance I and II, winner of the 2012 Oldenburg Elite Mare Show as well as German national champion and PSI top price in 2015. His dam Borendy was Reserve champion of the stud book registration competition in the province of Gelderland and made it to the finals of her age group. 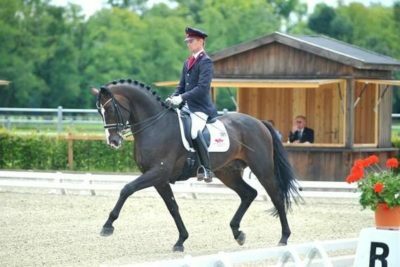 Her sire, Painted Black, son of the legendary Gribaldi, was competed by Hans Peter Minderhoud and continued his career with Anky van Grunsven becoming Vice-World-Champion of six-year-old dressage horses in Verden. He was subsequently internationally successful at Grand Prix level and World Cup winner. His grand-dam Orendy produced the much sought-after sire Zhivago and numerous Grand Prix horses. Her full sister Trendy is the dam of the sires Charmeur and Edelman. 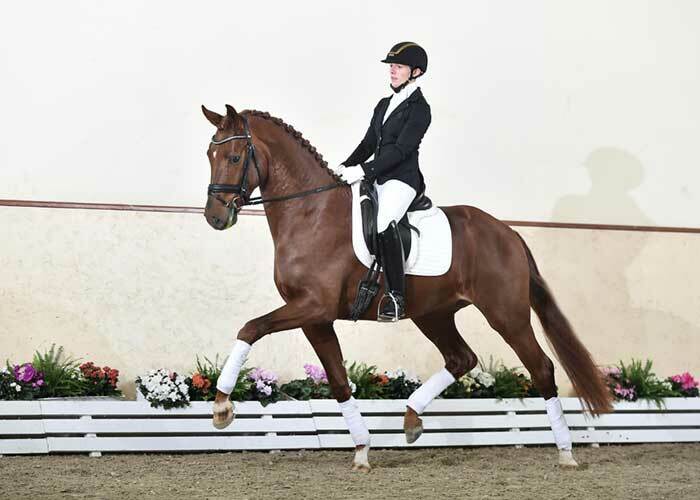 Jazz, in the third generation, won international Grand Prix for the Netherlands with Tineke Bartels and Kirsten Beckers and was, several times, part of the Dutch dressage team. Honoured with the predicate “keur” and “preferent” for his breeding performances, in 2006 he was named KWPN Horse of the Year in the Netherlands. In 2008, Jazz led the dressage WBFSH ranking for the first time and currently occupies third place. Every mare in his pedigree has produced horses up to Grand Prix level. Fürst Jazz represents the Dutch dam line 100, which produced, amongst others, the popular sires Estados, Grenoble, Van Gogh and Zuidenwind and is regarded as one of the surest dam lines of the Netherlands. Fürst Jazz: Special dressage capital with the best Dutch background!